Graduated from Politecnico di Milano University with a Master Degree in Telecommunication Engineering, Fabrizio started his career in Accenture Technology Solutions as a software engineer. Shortly after, he joined Comprel – B2B industrial electronic distributor part of Esprinet Group- where he was appointed as the Product Manager Industrial Computers. In 2009, after leading for 5 years the Business Unit Industrial PC, Automation & Display of Comprel, he joined Advantech Europe as South Europe Sales Manager. 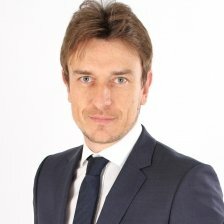 In his 5 years in Advantech, Fabrizio successfully managed moving to France in 2011 as Sales Director South Europe and Country Manager France. Before long, he was promoted to Sales Director Embedded Group for Northern, Southern, Easter Europe and Sales Director Europe Digital Signage of Advantech Europe in the Netherlands. In 2014 Fabrizio joined AAEON Europe as Managing Director Europe.